WiFi has changed the world, particularly in education where students are now enjoying 121 personal computing, bringing their own devices to school and learning to use new technology such as 3D printers. The change has been swift and unprecedented. A few years ago, a reliable network and full campus wide connectivity were held in high esteem and schools gradually made the shift to enterprise WLAN architectures that supported the increasing demand students, teachers and visitors made on the networks. Today, uninterrupted learning is becoming more of an expectation than a privilege, with students directing their own learning via lap tops, tablets and even their own mobile devices. This is bringing a new set of challenges: protecting internet users (and your network) from malware attacks, unsuitable adult content and online predators. Threats find their way behind perimeter defences embedded in content – games, apps and other files – downloaded from the Internet and each new device introduced to the network brings an increased risk of malware attacks. As a result, it is no longer ‘reliable internet connectivity’ that marks out WiFi vendors in 2016 – this is a pre-requisite. What marks out vendors in 2016 is their ability to integrate a holistic, affordable and manageable security solution that protects schools and businesses from malicious malware attacks, viruses and inappropriate content. By combining KBR’s security solution – KBR Secure – with KBR WiFi, we can now provide schools and businesses with holistic network security. This allows users to use their own devices safely (in schools or at work) and it enables web filtering and maximises coverage, whilst preventing skyrocketing support costs through it’s automatic application. The KBR Secure solution unifies network connectivity and application security and provides market leading network connectivity, visibility, application control and online safety. The infrastructure solution simplifies deployment and scaling through its unique channel management approach, and offers several unique reliability and traffic isolation advantages. For example, in addition to blocking obvious adult and malicious content, depending on student age group and school policies, schools can also selectively block social, gaming and other sites. In 2016, it is not therefore ‘connectivity’ that differentiates vendors, but rather online security: keeping students and businesses safe whilst working online. As leading WiFi suppliers, we feel it is our duty to provide our customers with leading edge security solutions to protect them from the multitude of threats to their security. 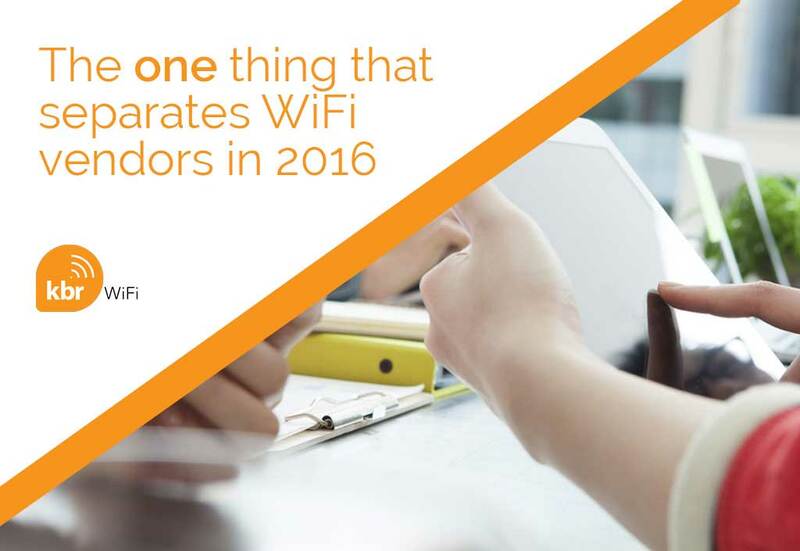 KBR is a longstanding WiFi provider to the education sector. Security and online safety has always been a driving force behind the business ethos and demand for KBR’s security solution has increased dramatically in recent months in a bid to ensure students continue to enjoy the endless benefits of uninterrupted online learning in a safe and secure environment. If you’re unsure about the safety of your WiFi network, contact KBR for an on site audit and we will advise you on the best possible solution for your unique requirements.